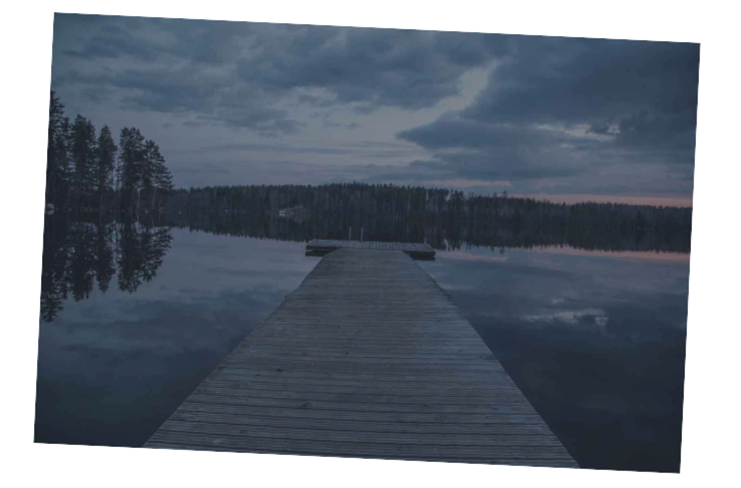 As he walked the length of his new dock, on his beautifully tranquil lakefront home, LW felt the satisfaction of having accomplished a major goal slide over him and he couldn’t help but smile. He’d waited a long time for THIS… For the first time in what seemed like years, the man slept soundly, peacefully even, knowing that his biggest giant had been slain. He had traveled a hard road to get here – more ups and downs than a rollercoaster and yet, here he was. On top. His business had just completed its best year ever. His company was considered among the best of the best in his town. But it wasn’t always like this… In fact, only three years ago, this same firm, owned by the same man, was on the verge of failing. It was late summer of 2013 when a contractor in North Texas called my offices. The area north of Dallas is one of the most active and competitive roofing markets in the US. Rarely a year goes by without some hail and the devastation it brings. The man, whom I’ll call LW, was in business for almost 15 years already. So why was he was highly dissatisfied with the success he was enjoying? His reputation as a contractor was solid, his team – filled with experienced professionals. Most years to this point he’d installed about $2M in roofing. Certainly ok – but small compared to those who were better at marketing than he. But in the office, driving around in his truck and in the privacy of his thoughts, another story was unfolding. One that made this self-made man feel a lot less successful than it appeared. You see, his customer acquisition was rooted in Phone Book advertising. Over the years, the model was losing to online marketing more and more often. In the last part of the last decade, around 2007-08, LW began to suspect that phone book ads were not supporting his business the way they once did, but he didn’t know what else would work as well. But now, 4 years later, the phone simply didn’t ring with prospects anymore. Today was especially quiet. His salesman had been shuffling through some business cards he had, but now, he was leaving to go “prospecting”. All of his competitors were seemingly focused on the Internet but compared to the simplicity of Yellow Page ads; online acquisition of customers was a nightmare. It was certain that the cost of the phone book ads no longer was driving the bulk of his inquiries. In business school, his professors talked about “cost per lead” as a key to advertising success and these leads were expensive. Financially the ads looked like a big loser. LW saw himself as a winner and having such a big issue remain unresolved was untenable. Marketing online was complex and confusing, with terms like SEO and pay-per-click. However, his education and experience had taught him to seek out an expert who understood this topic and follow their advice. LW felt quite sure that with some qualified input, he, a college graduate, could make it work. So he hired his first online consultant. The conversations with this person went well, and were filled with the same buzzwords he’d read online; much of the conversation was about “SEO” or search engine optimization. Surely these were knowledgeable people who knew what to do. Right? After a few months, however, with little results achieved, he began to harbor doubts. Walking the floor at a roofing conference he met up with peers who told similar stories of their consultants. LW began to wonder what was really true and what wasn’t. 6 months or so into the engagement with his consultant, results were hard to find but the costs were evident. This led to a fractured relationship with his marketing team that couldn’t be healed. For a time, the contractor asked his son to try and make sense of all the claims they’d get in emails and phone calls; the son being groomed as a key man in the future of things surely had the incentive to figure it all out. Soon after though his daily responsibilities made finding time to research, study and learn nearly impossible. So the son told his father to find someone else to do it. And LW went back online looking for threads that might lead him to an expert who could help them accomplish their goal. A similar process unfolded that led them to hire a new online consultant. This one offered an approach rooted in content marketing, and he recommended a heavy diet of articles that would be written and posted all over the web. However, LW had grown impatient for results and so the pressure on the consultant was intense and constant. The relationship didn’t last long. The breaking point came one day when he’d let his crew take half and full days off because they didn’t have enough jobs to keep everyone working. The toll on the crew was difficult with some openly talking of needing to go do something else if this wasn’t going to work out. The thought of losing his crew – many of whom were “family” to him was more than he could take. Day after day the man continued his search – reading articles and looking for recommendations on how to find qualified experts to help with his marketing efforts. He read about one guy who had been writing articles across many of the sites he was already learning from and started to consider trying one more time to hire a proven pro to help him. But LW wasn’t 100% sure. He’d already tried a couple of these “marketing experts” before and results were unimpressive. So in his interviews with the new firm, LW wanted to know how best to sort out the qualifications of people who do this type of work. He was told look for proven experts. An expert in his craft might write books on the topic or be featured in industry magazine articles. Another suggestion was to Google the person’s name to see how many different sites mention the person and his/her work. So due diligence on yet another marketing agency began and in the process, LW found numerous references to one particular provider. He learned that this person wasn’t as much of an “SEO expert” as he was a well-qualified business consultant, with experience far beyond others in his field. He sourced out and read many articles, each written to help boost confidence that LW was doing the right thing. In one of their conversations, LW learned that this “expert” shared a lot in common with him as the business owner, namely that he had learned online marketing by investing his own money to promote his own business. In September of 2013, he had seen enough – telling his son that he’d hired Scott A Dennison of TopRankedRoofer. The primary task was to spend the next 90 days getting LW’s phone ringing again and to solidify the online marketing operation. The client mentioned that one thing clearly separated TopRankedRoofer from the other firms he’d looked into. Scott was open about cases where things hadn’t gone perfectly – even to the point of mentioning clients who had hired, then later, fired him. The honesty impressed him. None of the others he’d worked with or spoken to seem willing to admit mistakes. Our initial task was to verify the keywords that Google had associated with its website and which were best based on keyword research. Along the road to our inevitable victory though, the client had more than a few times when he wasn’t sure that any of this was worth it. For example, the anger and frustration he showed when it was discovered that an analytics account was installed on their site but none of the previous agencies had given LW access to it or knew how to log-in today. So to overcome the issue, we installed a fresh analytics account… then we needed to wait to see what terms brought traffic to the business. Soon we were in a position to build a new website and complete a deep optimization process on the site’s content. As a company that wanted most of their calls to come from within 25 miles of their offices, we set up a detailed local search campaign using Google + and GoogleMyBusiness which included a lot of citation repair and building. Over the coming months, as things stabilized in his marketing and calls began to increase, the number of frustrated outbursts began to wane and in time, stopped completely. I never found the outbursts to be a problem because I could empathize with his feelings of investing a lot of money in marketing but getting little to no payoff. It’d happened to me too. The final touch to the effort was adding several high-value backlinks to boost overall authority of their site. Within 3-4 months things were rolling nicely along, with rankings improving visibly and traffic and leads on the increase too. See, most people understand that Google is largely a zero-sum game. For each term, there is but one #1 ranked site. If you’re the long-standing #1 site for a keyword and suddenly you see a new competitor has passed you, you might not respond well. A short drop from #1 to say #7 or off the first page altogether can cause your incoming inquiries to drop in a big way. How do I know? One day while monitoring and tweaking results I discovered that someone – a competitor – had executed a “negative backlink attack” against LW’s site. This was intended to convince Google that LW was doing something bad – and against their rules. For a time, the punishment was severe. From positions high on page one of Google search results, LW’s site dropped to page 2 or worse. Almost overnight. From a phone that rang regularly again, the call volume just died. LW was so angry about it, he tried to lay blame with me. It’s not an exaggeration that he came very close to ending the engagement with TopRankedRoofer. LW was even so upset about the ethics of his competitor that one afternoon he hired a lawyer to find the guy. He even started talking about “visiting him, so I can show him my Smith & Wesson”. Fortunately, Google removed his penalty without any bloodshed. Soon after they changed the rules to prevent competitors from hurting one another. In short order, we were able to fix his ranking issues and get him back to the visibility he desired. All just in the nick of time. We fought the battle over negative keyword/backlink attacks in the fall of 2015. In a couple of months we saw the changes taking hold early in 2016. Then the big one hit! On 3/23/16, a once-in-a-decade hailstorm descended on North Texas. That same week, LW’s website had achieved the #1 spot for the term “Dallas roof leak repair”. They also enjoyed top rankings on numerous other keywords. What happens when over 150,000 homes are affected and you have massive visibility at #1? This company received roughly 1000 phone calls and lead forms in the next 36 hours. In late November 2016, LW was looking through the mail which included several checks from an insurance company they’d done some work for… he knew they’d had a good year. That day he was able to add it up and see for himself. His typical revenue was around $2M – up to $2.6M. However, for the one magical year that was 2016, this roofing contractor deposited over $8.6M. His guys no longer worried about jobs or paychecks – instead they were concerned with getting time off for personal days. Chapter Ten – What Does A Huge Year Look Like On Paper? 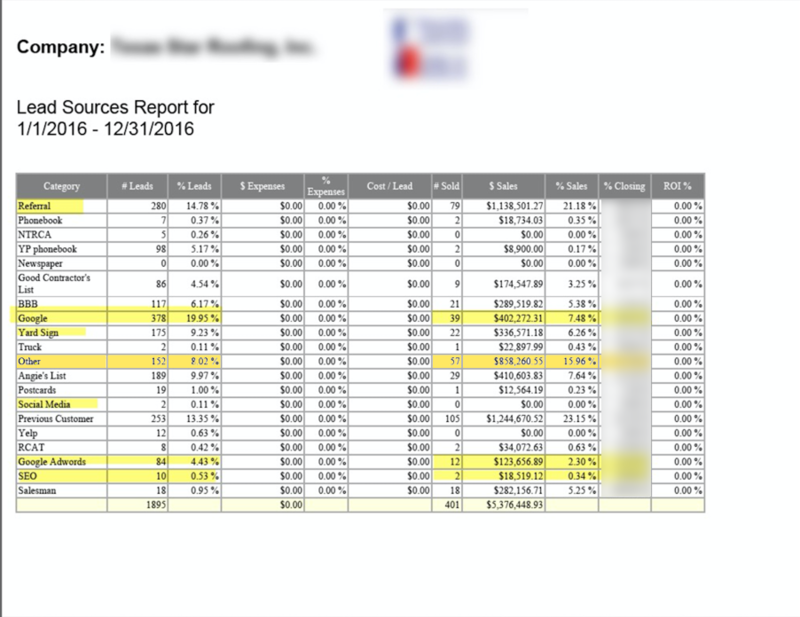 This graph was provided by the client but didn’t include December deposits – you’ll see there are only 401 roof replacements listed on this. A few weeks later, LW said they’d completed an average of 2 re-roofs per day, 7 days per week. This lasted from early April through November and they would install 504 new roofs before the books were settled. The owner, LW, also was able to check off one of his ultimate objectives – his lifetime goals, if you want to call it that… He was able to purchase that lake front vacation home he’d always dreamed of. Better, he started spending more time away, chasing the “big ones” with his scary “customer acquisition” objective resolved. Now that you’ve learned about one of our roofing clients journey to success, the focus is on you. What is it you are working for that so far, has eluded you? What big goals and dreams do you have for your business or for your family? 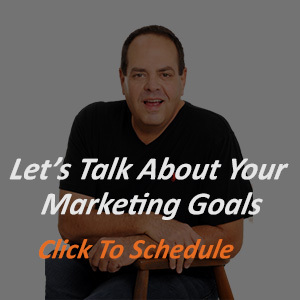 Do those goals require you to make more sales if you’re ever going to get them? I have great news for you. Google has made it much easier to get ranked and get customers from all the people who search for a roofer on Google. There’s just one catch. They only want to promote proven firms who have a history of excellent results. Business in 2019 is returning to basic fundamentals and you have a chance to be the Top-Ranked Roofer in your market. But it will only happen when you invest a reasonable amount into the customer acquisition process.